Looking for a super simple appetizer or dinner item? Something most kids and adults will enjoy? 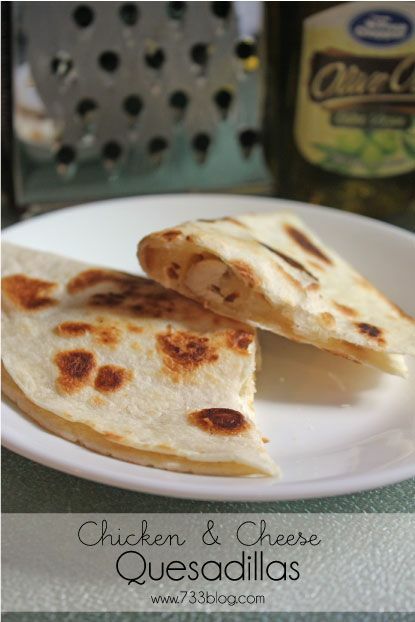 Then give these Chicken & Cheese Quesadillas a try! I use a time saving element you can thank me for later: Frozen Pre-Cooked Chicken Strips! This saves prep time and tastes yummy too!